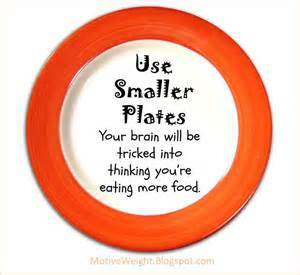 It has taken Cambridge University academics to come up with the bright idea that eating off smaller plates will help you lose weight. Amazing, a life-times research, no doubt! If you're piling on the pounds, try buying new crockery say professors. 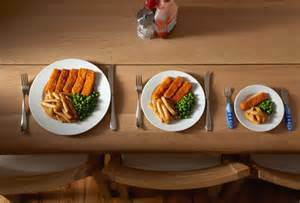 For simply eating off a smaller plate could slash intake be nearly a tenth according to the Cambridge boffins. It didn't seem to be the case at the Toby Carvery I attended recently, where they provide smaller plates for the self-serve customers. 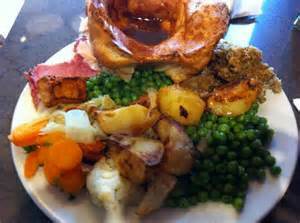 The plates were piled high and crammed with as many vegetables and Yorkshire puddings as the greedy 'roasters' could carry. The report, which analysed 61 separate studies, also called for retailers to stop discounting food sold in larger quantities. Public Health England was quoted as saying, ''The research clearly demonstrates that smaller portions helps cut calories.'' And we need to be told that!! I must return that discounted jumbo pack of 500 tea bags, I bought from the supermarket on Saturday and buy a smaller pack, to help reduce my caffeine intake!